The Las Vegas Bowl helps kick off opening day of the College Football Bowl Season. This year's match up pits the Broncos of Boise St. and the Ducks of Oregon. 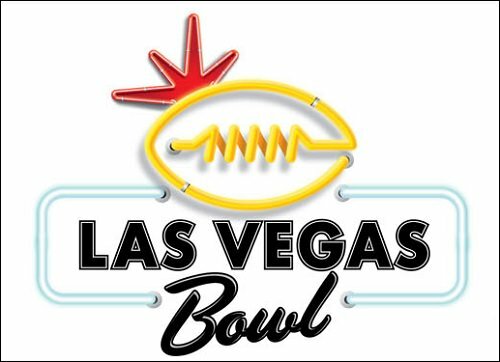 The Las Vegas Bowl made its debut in 1992 and currently ties in representatives from the Mountain West and Pac-12 conference since the 2005 season. The game is played in the 35,500-seat Sam Boyd Stadium, located in Whitney, Nevada (the capacity is expandable to over 40,000). Boise St. has appeared in three previous Las Vegas Bowls, winning each time in consecutive seasons. The Broncos defeated the Utah Utes, 26-3, in 2010. They blew out the Arizona St. Sun Devils, 56-24, in 2011. They finished the hat trick with a 28-26 win over the Washington Huskies in 2012. Coincidentally, each of those wins occurred on December 22 of each of those years. This will be the third trip to the Las Vegas Bowl for Oregon. The Ducks downed the Air Force Falcons, 41-13, in 1997. Nine years later, they were chewed up by the BYU Cougars, 38-8, in 2006. BYU has made the most appearances in the Las Vegas Bowl (six). Utah is next with five, followed by Boise St. Oregon is one of three schools tied with three appearances in the game. What: The Mountain West champions battle the Pac-12 North's fourth-place finishers in the desert. Where: Sam Boyd Stadium; Las Vegas, Nevada. 2017 Records: Broncos 10-3 (7-1 Mountain West). Ducks 7-5 (4-5 Pac-12 North). 2016 Records: Broncos 10-3 (6-2 Mountain West). Ducks 4-8 (2-7 Pac-12 North). Boise St. Previous: Broncos def. Fresno St. in the Mountain West Championship, 17-14, on Dec. 2. Oregon Previous: Ducks def. Oregon St. in the Civil War, 69-10, on Nov. 25. Head Coaches (overall records): Broncos - Bryan Harsin 38-12 (38-12 with Broncos). Ducks - Mario Cristobal 27-47 (0-0 with Ducks). Boise St. Notes: The Broncos come into the game having won eight of their last nine. Their only loss came in the regular season finale to Fresno St. 28-17. They rallied in the fourth quarter to defeat the Bulldogs in the Mountain West Championship game, 17-14. Quarterback Brett Rypien led BSU on a nine-play, 3:06 drive, capped off by a two-yard run from running back Ryan Wolpin for what proved to be the winning score. Rypien has spent most of the season under center, but has been augmented by graduate transfer Montell Cozart, who is more of a rushing threat. Rypien leads the team in passing, completing 197 of 310 attempts for 2,515 yards with 14 touchdowns and 4 interceptions. Cozart has thrown for 747 yards with 10 scores and a pick. Alexander Mattison led all Boise St. rushers with 1,074 yards on 209 carries and 12 touchdowns. Wolpin added 377 yards on 99 carries and 4 touchdowns. Cedrick Wilson is the go-to receiver, leading the Broncos with 73 catches for 1,290 yards. A.J. Richardson caught 33 passes for 494 yards and a pair of touchdowns. Tight end Jake Roh, who missed the conference championship game due to injury, led the team with 9 touchdown grabs on 39 receptions for 410 yards. Kicker Haden Hoggarth was a perfect 52/52 on his extra point attempts and 17/21 on his field goal tries. Boise St. has an 11-6 bowl record including three straight wins in the Las Vegas Bowl in 2010, 2011 and 2012. This is the first time the Broncos have faced Oregon in a bowl game. This is the Broncos' 16th straight season they have earned a bowl bid. Oregon Notes: The Ducks have been a tale of two teams this season; one with quarterback Justin Herbert, and one without. They lost four of five games during the middle of the season while the sophomore signal caller was out with a shoulder injury, but won their last two once he returned. The Ducks will have had three weeks off between the Civil War and this game and they can use it. Head coach Willie Taggert bolted the team on Dec. 5 to take the head coaching position at Florida St. Within three days, and at the behest of several players, the team announced that it had promoted co-offensive coordinator Mario Cristobal to the permanent head coaching position. Cristobal had previously served as the head coach at Florida International University from 2007 to 2012. Herbert completed 66.5 percent of his passes for 1,750 yards with 13 touchdowns and 3 interceptions. Oregon relies heavily on its running game. Running back Royce Freeman is second in the Pac-12 in rushing only to Stanford's Heisman runner-up, Bryce Love. Freeman has 1,475 yards on 244 carries and 16 touchdowns. Kani Benoit rushed 80 times for 573 yards and 10 scores, while Tony Brooks-James gained 485 yards on 86 rushes with a pair of touchdowns. Wide receivers Charles Nelson and Dillon Mitchell had 30 catches for 392 yards and 33 catches for 374 yards, respectively. The former scored once, while the latter caught four scores. Aidan Schneider was a perfect 59/59 on points after touchdown and 9/12 on field goal attempts. The Ducks are 13-17 all-time in bowl games. Fact: Despite their close geographical proximity, these teams have played only twice in their histories (2008 and 2009), with the Broncos winning both times. I don't think many people are givi g the Broncos a chance in this one. I predict It's going to be a lot closer than many think. I picked Other in the poll because I think the WR for the Broncos, Cedrick Wilson, will have a big game. Good luck to Boise St. this weekend. Big day tomorrow. Looks like Royce Freeman is not going to play, which should even out the playing field for the Broncos. This should be a very good game. Our game should be on time, unless North Carolina A&T and Grambling St. go into overtime in the Celebration Bowl. That game is tied 14-14 with 4 minutes to go in the fourth NC A&T has the ball at about the 50. The Ducks will have the ball first. Good defensive stand by the Broncos on the Ducks' first drive. Touchdown Boise St. Ryan Wolpin 1 run. Haden Hoggarth kick. That was like ballet football! Another stop for the Broncos' season. I am loving our defense right now! Huge play from Rypien to Modster! Rypien intercepted. He should have thrown it away and moved on to the next down. BSU looked good until the interception.